The waters off Crescent Beach offer an exciting environment for sea kayaking. While there are protected coves and marshes nearby, there's also plenty of open ocean. You can feel the swell under your boat and paddle near cliffs battered by waves. Within a short paddle there are lighthouses, estuaries, islands rich with history and lots of seals. 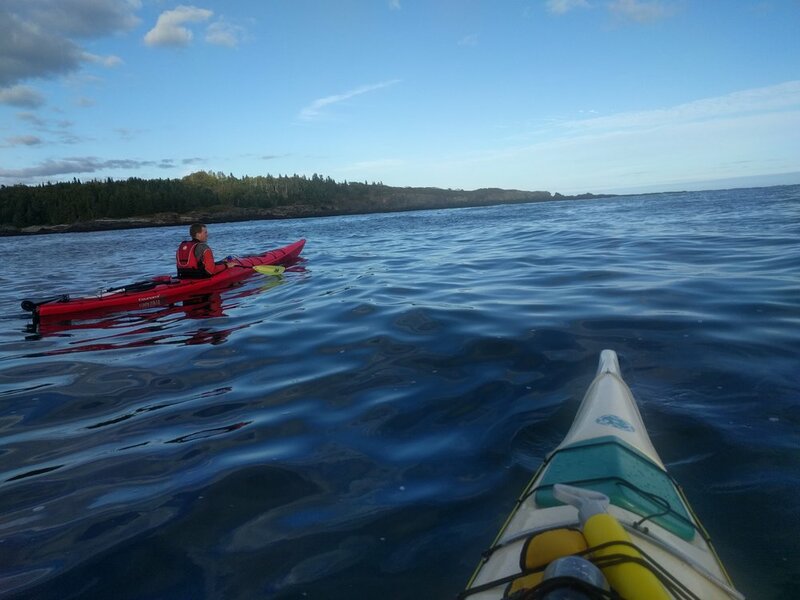 A guided tour offers a chance to explore this environment accompanied by a licensed Maine guide with a wealth of knowledge about the sport of sea kayaking and the coast of Maine. HOW TO BOOK: Click on the blue buttons below or call 207-37-9730 to reserve spots on a tour. You will be asked to pay a 25% deposit. You can read our cancellation policy here. FREE PARK PASS: If you make a reservation with Portland Paddle you will receive a pass that allows you to enter Crescent Beach State Park without paying the entrance fees (normally $8 per person). Rates vary by experience and number of people. Email us at portlandpaddle@gmail.com or call us at 207-370-9730 to set up a paddling adventure that's just right for your group. Ask about discounts for non-profit organizations. We have designed hundreds of custom paddling experiences for schools, summer camps, wedding parties, corporate groups, big families, bachelor/bachelorette parties and all sorts of large groups. We can shape your group's experience to emphasize outdoor education, team-building, natural history, paddling instruction or just having fun on the water. Most custom trips include a mix of all those elements. Just let us know what you have in mind. Our guides are experts at facilitating memorable, fun experiences and they are prepared to offer instruction for all skill levels. Crescent Beach State Park is a great place to bring a large group. It features one of the most gorgeous beaches in Maine along with plenty of parking, clean public bathrooms, picnic areas and food trucks. We can adapt our standard kayak tour from Crescent Beach (described above) to fit the needs and schedule of any group. 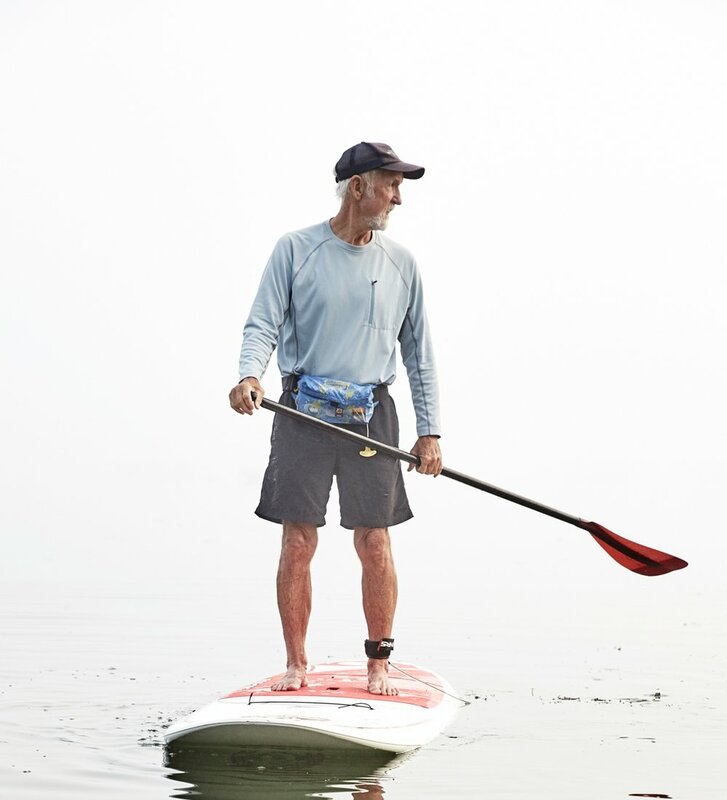 As we paddle our guides will point out the area's abundant wildlife (seals, osprey, seabirds) and the views of the lighthouses at nearby Two Lights State Park. Stand-Up Paddleboarding is a sport that's incredibly fun and fairly easy to learn, but it's still new to many people. Giving your group the chance to try it out in the beautiful coastline of Crescent Beach could be the perfect experience for them to share together. Our expert staff will start you off with a brief lesson and then take you on a brief paddle, pointing out wildlife and historic sights along the way.